I really like those earrings!!! WOW - what a shopping expedition - love the dress, hair band, shoes, earrings, plates, everything! Those loafers are adorable, I'm going to have to go check out Old Navy! I love that plate set! 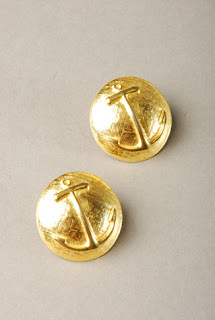 Everytime I see anchor stuff I think of you. I have seena few things here but haven't gotten anything because I can't afford to spend £12 on costume jewellery!! I must go to my Old Navy to see if they have those shoes! 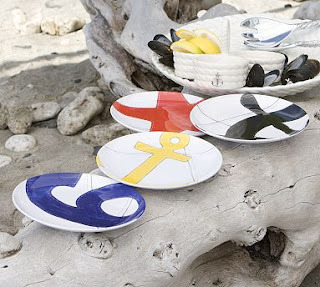 oooooh my, I love those plates! LOVE everything! Esp those cute shorts, earrings, and loafers. Awesome finds! Great finds and great deals! Forever 21 always has a great deal! Love the plates and what a deal! 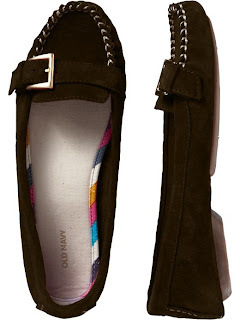 tomorrow im off to old navy to buy the same loafers in everrrrry color! I didn't see your preppy for less post until just now! Great idea!! Love the purchases! oooh all great buys and I am very excited for the Preppy Looks for Less!! Love the headband. I just bought it! Hello-Hello... oh, excuse me just a moment, it seems there is a little drool upon the keyboard! I can't imagine how that got there! What *great* stuff you found! The headband is *so cool*, and seeing your post makes me realize I should have bought those plates when I saw them! Aarrgghh... I am such a dolt! I love everything!!! Can't wait for the PLFL posts!!! So glad you bought the PB plates. I remember posting them on your blog when in England; when I saw them I thought of you!